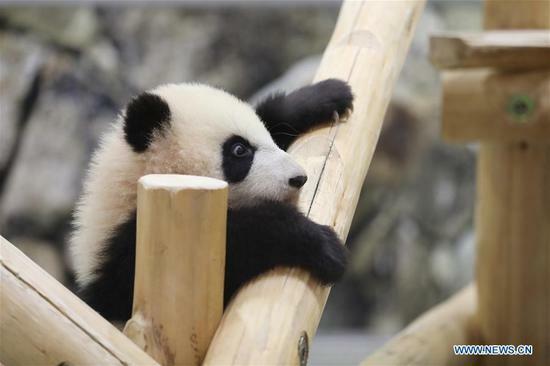 Chinese male panda bear Jiao Qing is seen in his compound at a zoo in Berlin, Germany. 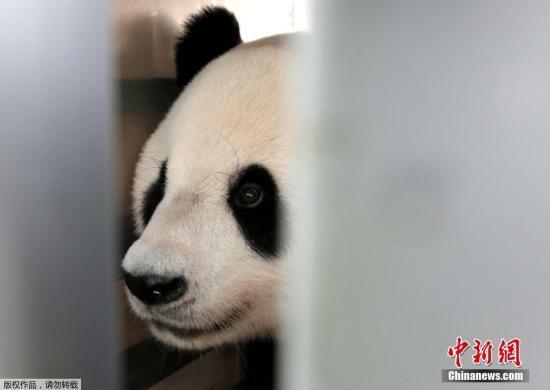 Giant pandas Meng Meng and Jiao Qing arrived in Berlin in 2017 from the panda breeding and research base in Chengdu, Southwest China. 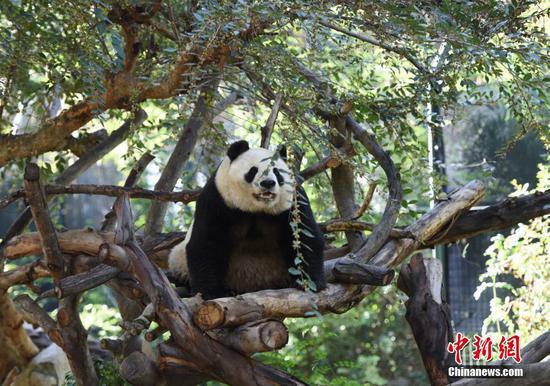 San Diego Zoo in US state of California held a special ceremony on Saturday to kick off a three-week farewell celebration for two giant pandas. 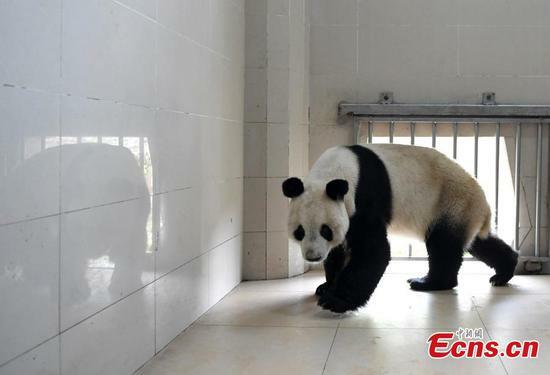 Two giant pandas, Xing Er and Mao Er, will be transported to Copenhagen Zoo in Denmark from Chengdu on April 7. 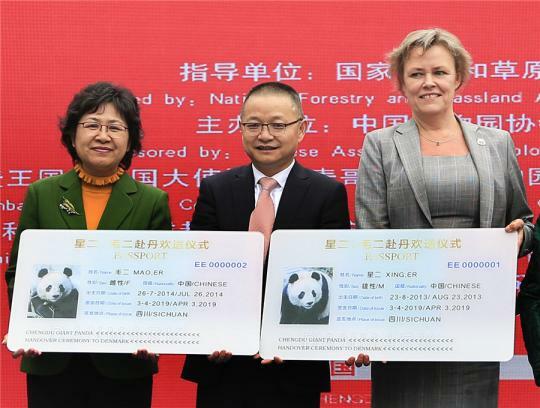 Denmark will be the ninth country in Europe to host pandas. 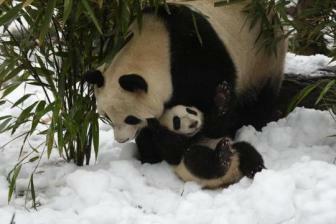 A pair of giant pandas will leave Chengdu, capital of Sichuan province, on Thursday for Denmark. 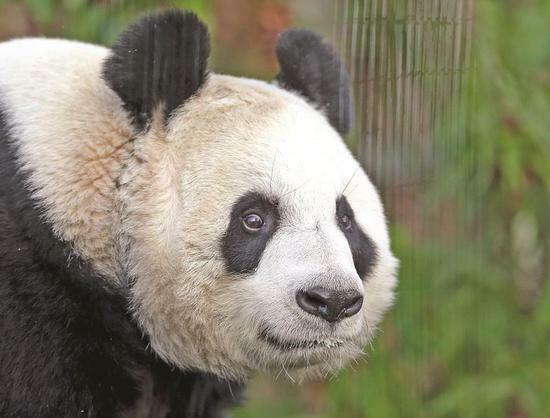 Edinburgh Zoo's drawn out quest to breed the first panda cubs in the United Kingdom continued on Sunday, when vets artificially inseminated female giant panda Tian Tian. 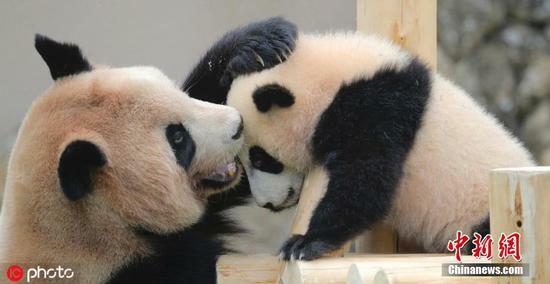 Giant panda Rauhin and her female cub Saihin, born last August, play at Adventure World in Shirahama, Wakayama Prefecture, Japan. 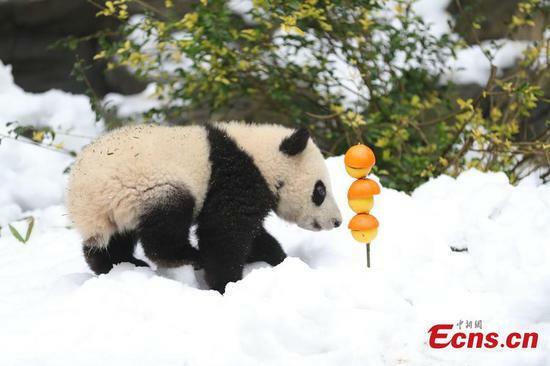 The name "Saihin" means "making life colorful" in Japanese. 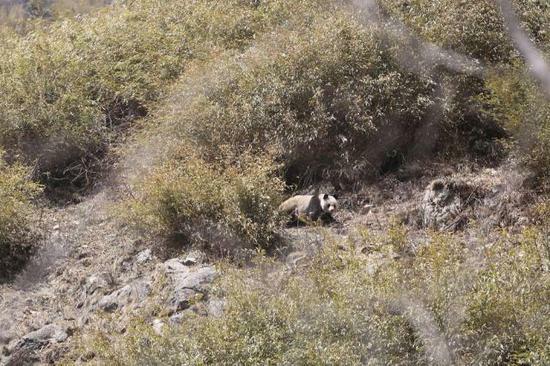 A wild panda was caught nibbling on the lens of an infrared camera in Dafengding National Nature Reserve, Sichuan Province. 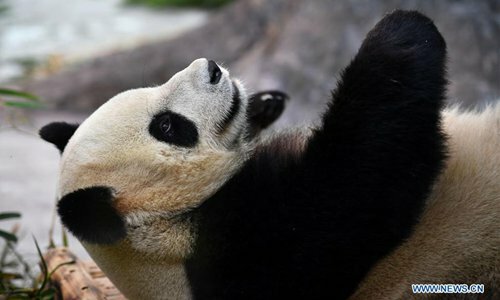 The San Diego Zoo will return its last two giant pandas to China next month, said zoo officials Monday. 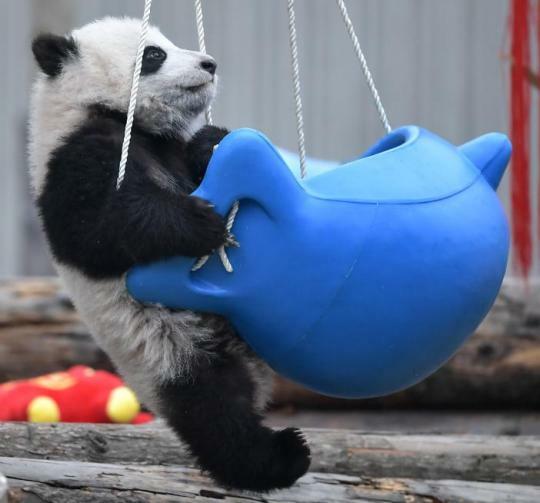 Baby panda Saihin plays around with her mother Rauhin at Adventure World in Shirahama, Wakayama Prefecture in Japan on March 23, 2019. 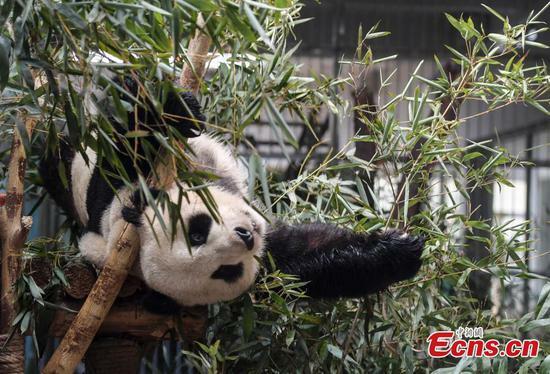 Giant panda Jiao Qing is seen at the Zoo in Berlin, Germany, March 21, 2019. 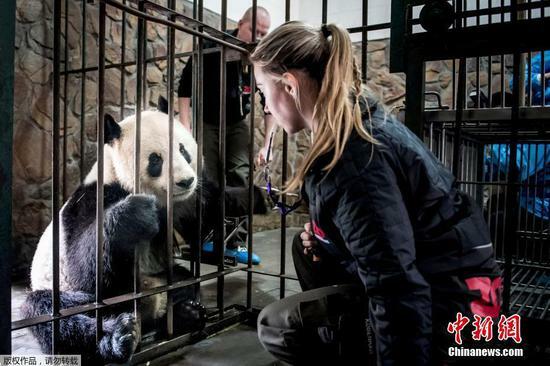 Male panda Jiao Qing arrived in Berlin in 2017 together with female panda Meng Meng from the panda breeding and research base in Chengdu, Southwest China. 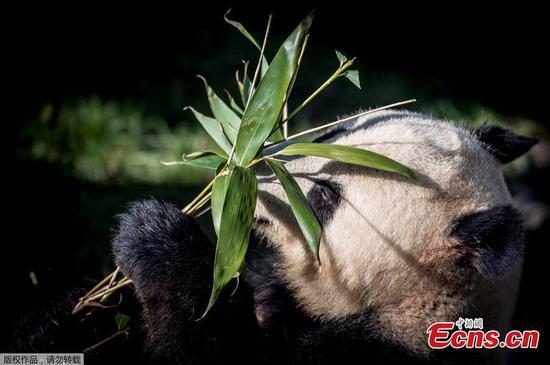 Two giant pandas, Mao Er and Xing Er, are scheduled to travel to their new home in Copenhagen Zoo from the Panda Base in Chengdu at the beginning of April. 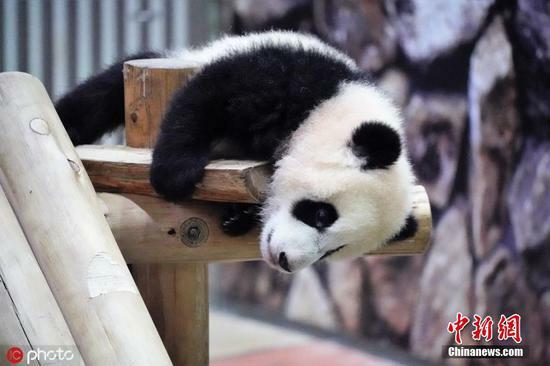 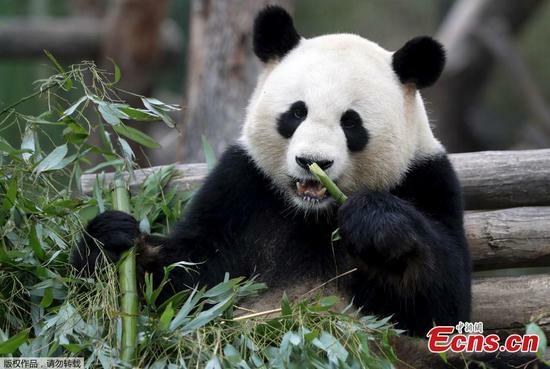 Officials from Northwest China's Gansu Province vowed to accelerate its plan to build a giant panda national park to protect pandas and other endangered animals. 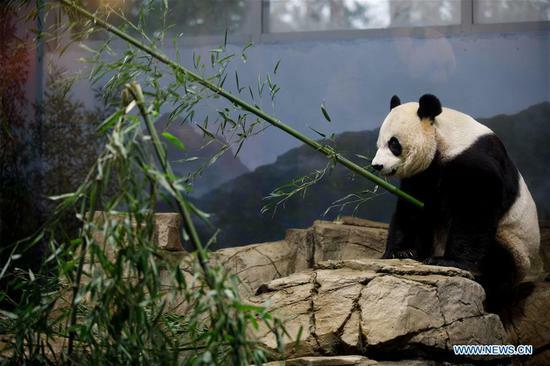 The Smithsonian's National Zoo in Washington D.C. held a housewarming event inside the giant panda house on Saturday to celebrate the completion of a new visitor exhibit. 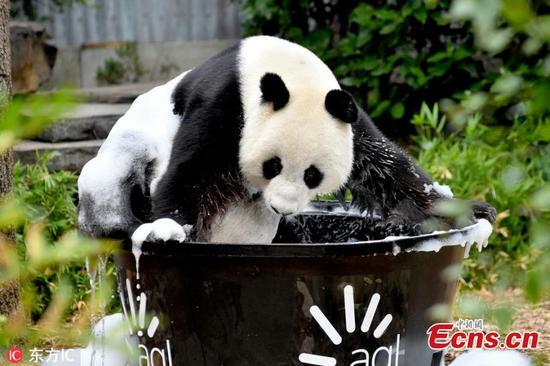 Giant panda Wang Wang plays with water at the Adelaide Zoo, Australia, Feb. 17, 2019. 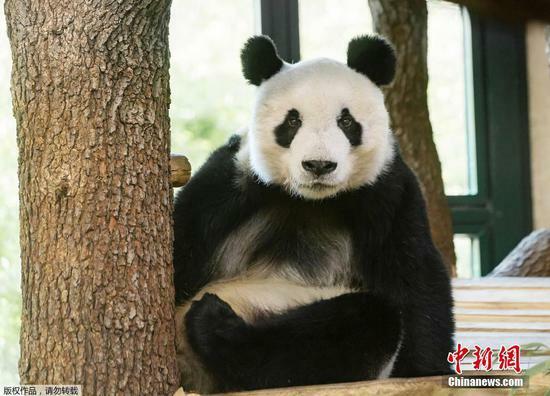 Giant pandas Cai Tao and Hu Chen arrived in Indonesia in September 2017 from their home in Chengdu, China. 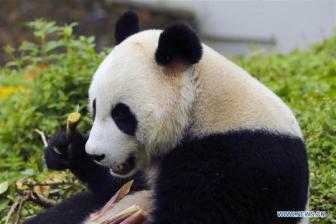 The pandas are in Indonesia as part of a 10-year breeding loan agreement with the Chinese government. 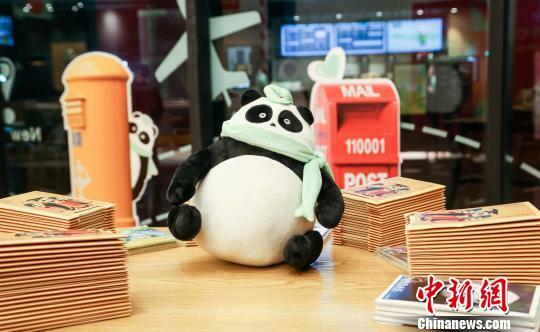 Born on August 14, 2018, Saihin is 90 centimeters in length and weighs 9.86 kilograms now. 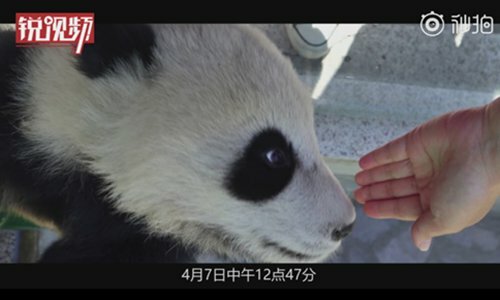 Female giant panda cub Saihin, born at a Shirahama zoo in Japan's Wakayama Prefecture, celebrated her half-year-old birthday on Thursday, attracting a lot of tourists and panda lovers. 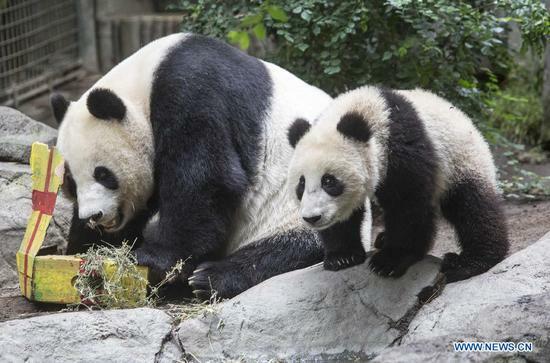 What did giant pandas eat 5,000 years ago? 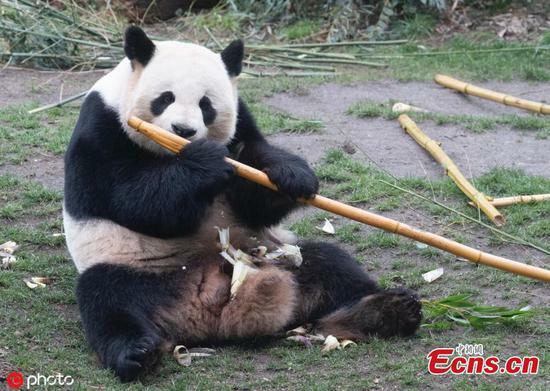 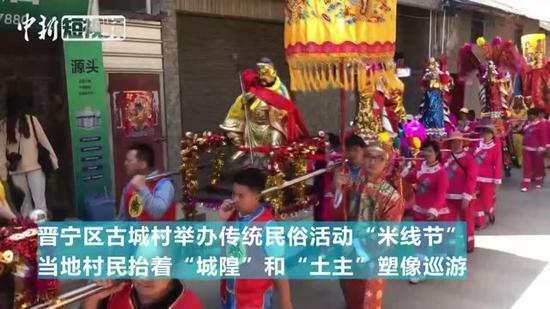 We all know that giant pandas eat bamboos and live in mountainous regions of southwest China. 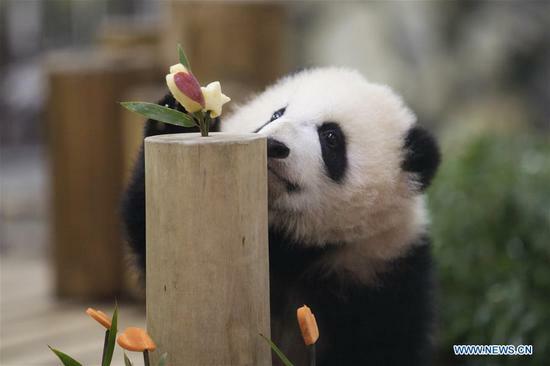 In order to support their tough and fibrous bamboo diet, they have distinctive teeth, skull, and muscular features, as well as a special thumb that is developed to grasp and hold bamboo stems, leaves and shoots. 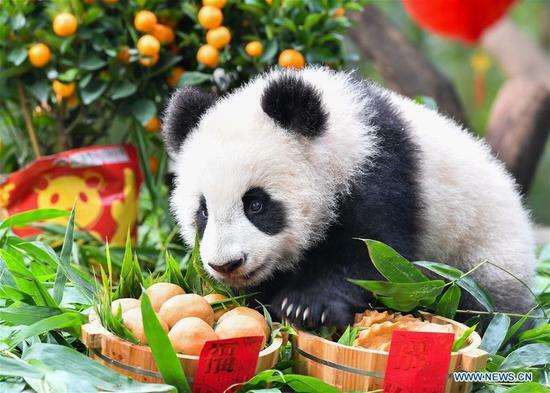 The "menu" for giant pandas 5,000 years ago might have been more diversified than today, when the black-and-white mammal lived in a wider range of environment besides bamboo forest, according to new research.